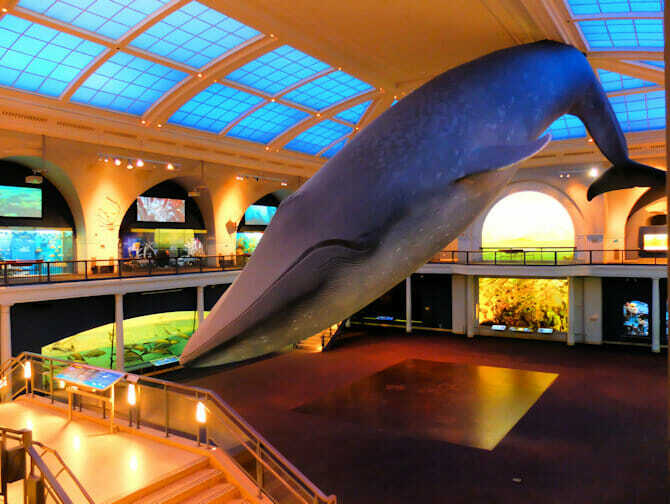 The American Museum of Natural History in New York is one of the most fun and educational museums in the world. It is definitely worth a visit, especially if you have children. 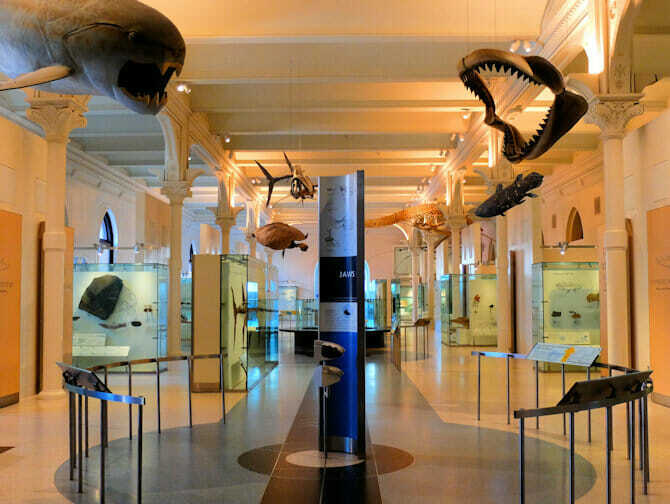 You may recognise the museum as it was featured in the movie “Night at the Museum.” What can you expect? 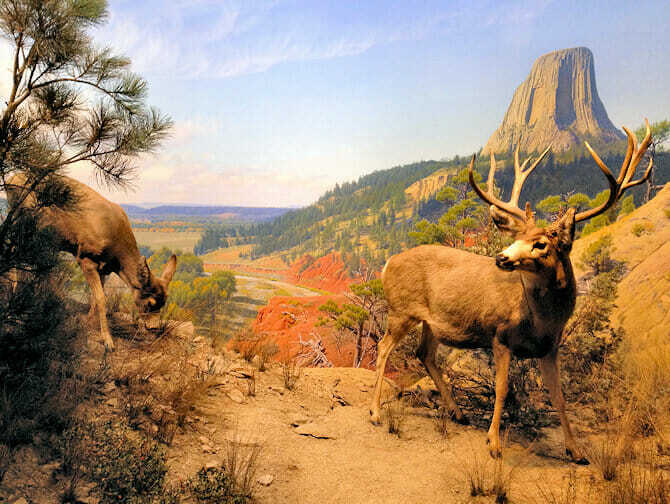 Preserved animals in spectacular 3-D environments. Dinosaurs, the history of the earth and an overview of indigenous cultures is just a sample of what you can expect. The museum is very old and sometimes seems a bit old-fashioned, in a charming way. Like everything else in America, this museum is larger than life. If you have a busy itinerary, and a limited amount of time, it is wise to decide beforehand what you would like to visit. Below is an overview of my favourite sections. Open from October to May. There are more than 500 live butterflies flying around here. In contrast to the rest of the museum, these are not preserved butterflies. Magical preserved animals presented in their natural habitats. It is truly amazing and beautiful how they have done this. You really get the feeling that you are in the mountains amongst the tigers, or in the African Serengeti with the antelope. It is as if all the life in the ocean has come to the surface. It is not surprising that the museum spends a lot of time and attention on this exhibit. There are two interesting “trees of life” which portray the evolutionary process beautifully and even show when a new species can be classified. 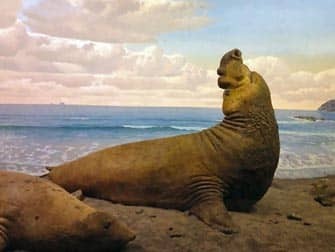 Here you can view wonderful dioramas of marine animals. Including a life sized whale hanging from the ceiling! 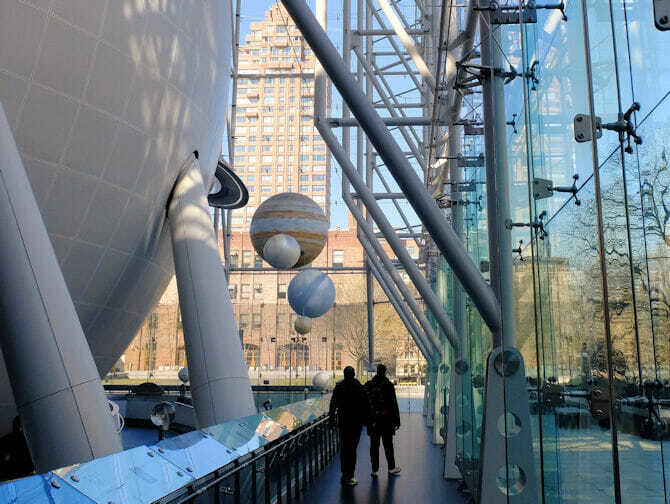 The museum not only gives you an overview of the earths evolution, it also gives an impression of what happens in space and how people are exploring our solar system. It is great to visit the Space Theatre where you it almost feels as if you are floating through space. Are you interested in seeing how the Native Americans used to live? Visit the Native American exhibitions. These include an anthropological overview of how the indigenous people lived, what tools they used and how they survived. 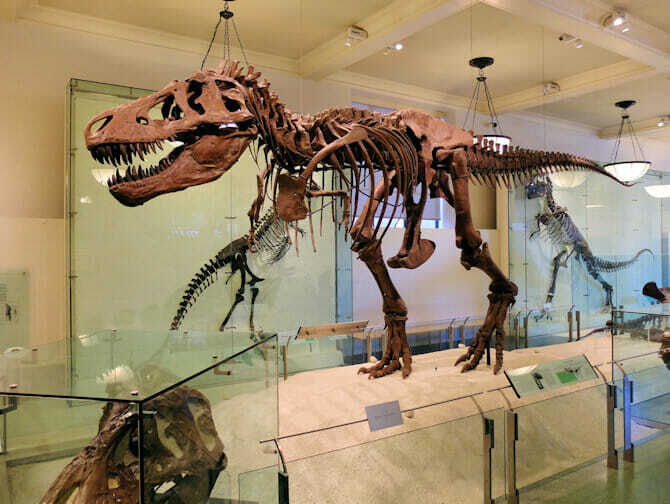 The Museum of Natural History is mostly famous for its dinosaur collection, and it is indeed very impressive. You would think that what you see is all made of plastic, but when you look a little closer and read the signs, most of the exhibition is real. Allowing you to learn everything you can about these great giants. Considerable attention is also paid to theories on how these giants came in to extinction. You are confronted, in an intriguing way, with the age of the earth and how young mankind really is – animated with a 24 hour clock. Mankind appears only at the very last minute! After purchasing you will receive a voucher that you can print and exchange for a ticket at the museum. You can also show it as a mobile voucher on your phone to receive your ticket. Eric’s Tip: I recommend starting your visit on the fourth floor of the museum where you will find the dinosaurs. Then continue down via the stairs to explore the lower storeys as the lifts are often very busy so can slow you down. 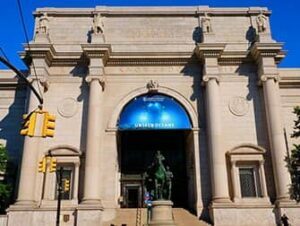 The entrance to American Museum of Natural History is also included in the New York Pass and New York Sightseeing Flex Pass.